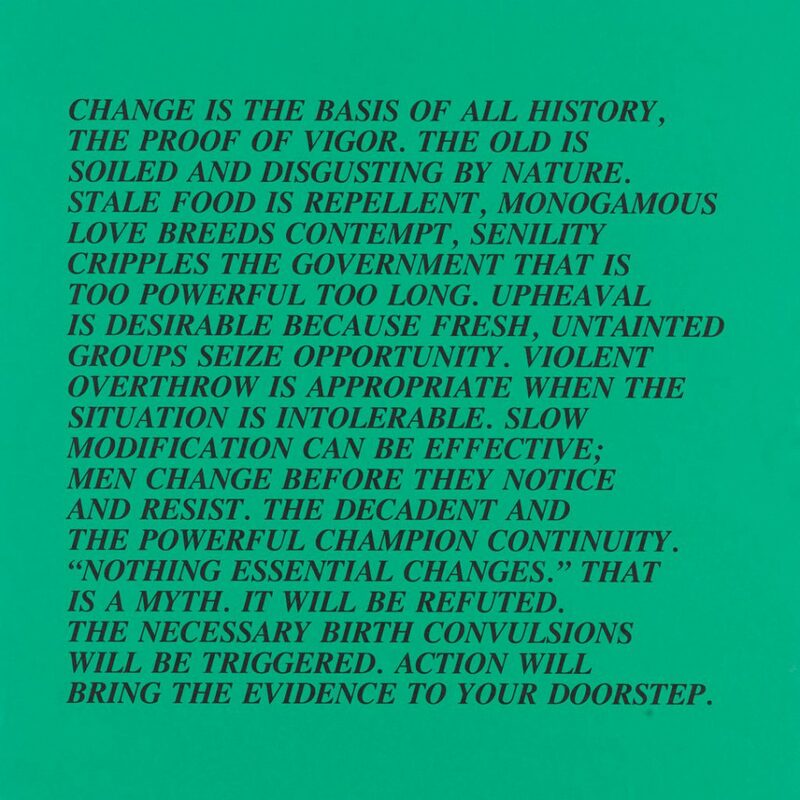 Originally plastered around New York City without attribution in the late 1970s and early 80s, Jenny Holzer’s Inflammatory Essays were made to confront passersby. Though she was relatively unknown at the time, Holzer’s careful combination of poetics and politics soon drew international attention and acclaim. In 1990, she became the first woman to officially represent the United States at the Venice Biennale, and was awarded the Golden Lion—the Biennale’s top prize. 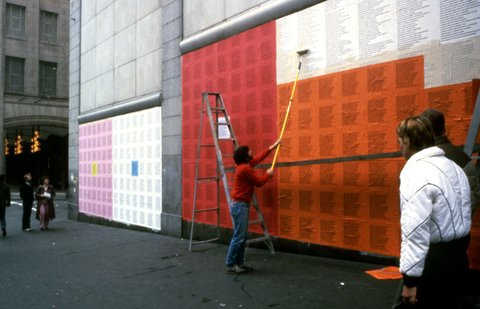 Just six years prior, Seattle Art Museum’s Contemporary Art Council sponsored the installation of Essays along a wall at Second Avenue and Pike Street in 1984. The posters would resurface 16 years later at SAM as part of the 2001 exhibition, Art of Protest. Produced 40 years ago, Inflammatory Essays feels eerily contemporary. In a polarized era marred by fake news, the quick dismissal of credible journalism, and our self-imposed curation of media, Holzer urges us to question the statements we are bombarded with on a daily basis. Through their challenging and, at times, aggressive statements, Inflammatory Essays continues to elicit critical public discourse by means of self-examination. 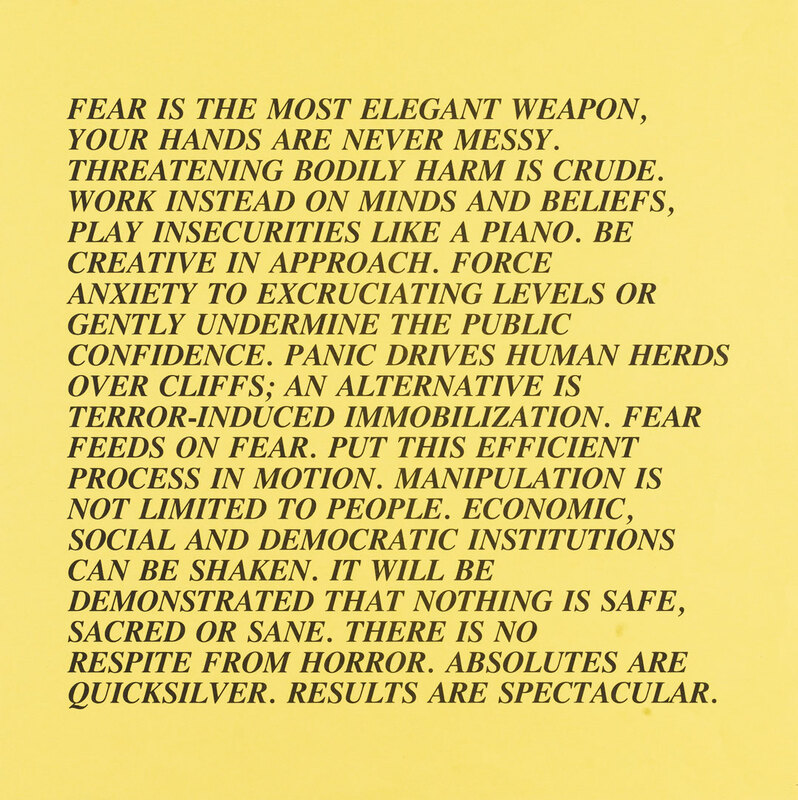 Images: Inflammatory Essays, 1979-82, Jenny Holzer, offset posters on paper 17 x 16 3/4 in., Gift of the Contemporary Art Council of the Seattle Art Museum, 2012.9.20 © Artist or Artist’s Estate. Poster Project, Seattle, Washington, USA, 1984, © 1984 Jenny Holzer, member Artists Rights Society (ARS), NY. Installation view Art of Protest, Seattle Art Museum, 2001, photo: Nathaniel Wilson. 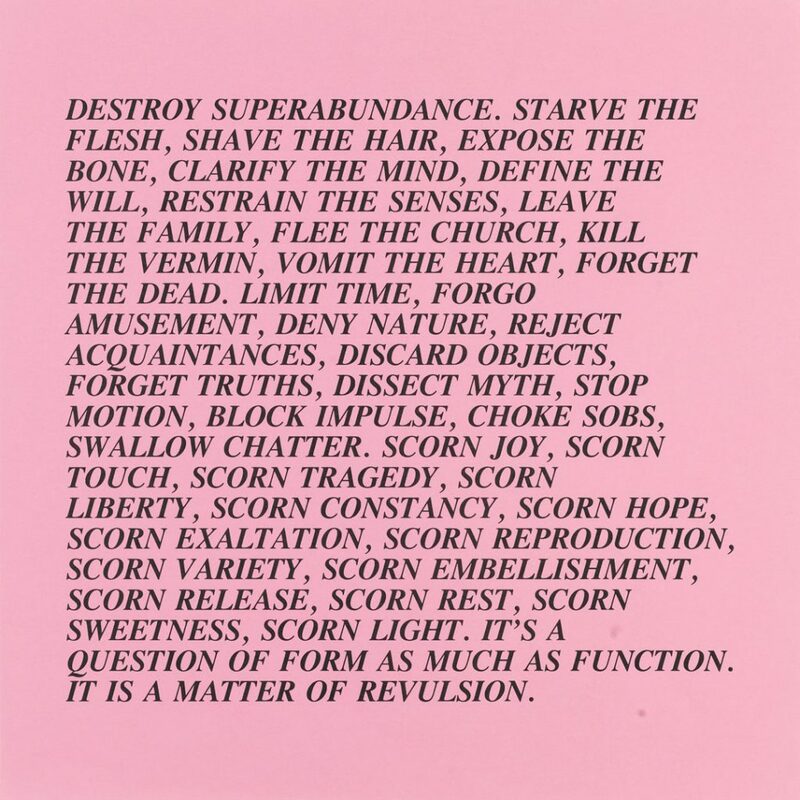 Inflammatory Essays, 1979-82, Jenny Holzer, offset posters on paper 17 x 16 3/4 in., Gift of the Contemporary Art Council of the Seattle Art Museum, 2012.9.16 © Artist or Artist’s Estate. 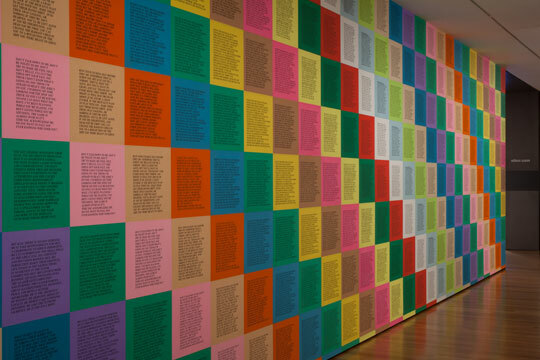 Inflammatory Essays, 1979-82, Jenny Holzer, offset posters on paper 17 x 16 3/4 in., Gift of the Contemporary Art Council of the Seattle Art Museum, 2012.9.21 © Artist or Artist’s Estate.